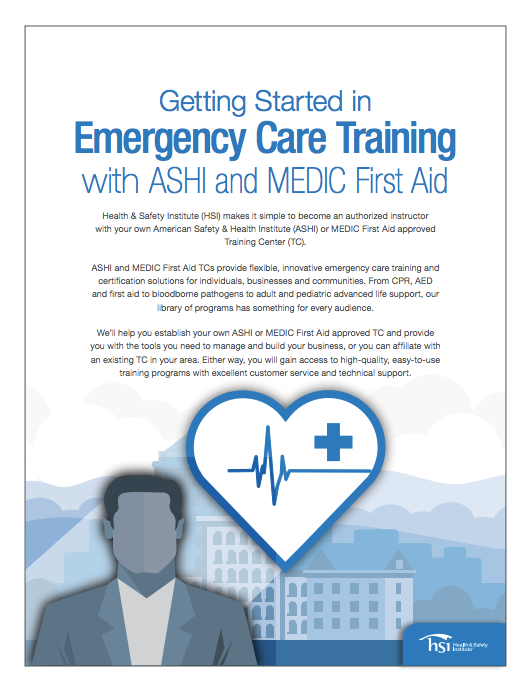 Learn how to become an authorized instructor with your own American Safety & Health Institute (ASHI) or MEDIC First Aid approved Training Center (TC). ASHI and MEDIC First Aid provide flexible, innovative emergency care training and certification solutions for individuals, businesses, and communities. From CPR, AED, and first aid to bloodborne pathogens to adult and pediatric advanced life support, our library of programs has something for every audience. Whether you’re seeking to earn extra money part-time or establish a full-time career, we’re here to support you. Download the e-book to learn more!